What’s in mom’s beach bag? We spend lots of time at the beach in the summer and after many years I think I have finally figured out the best things to keep in our beach bag to be prepared for the basic beach day! #1: A great beach bag! 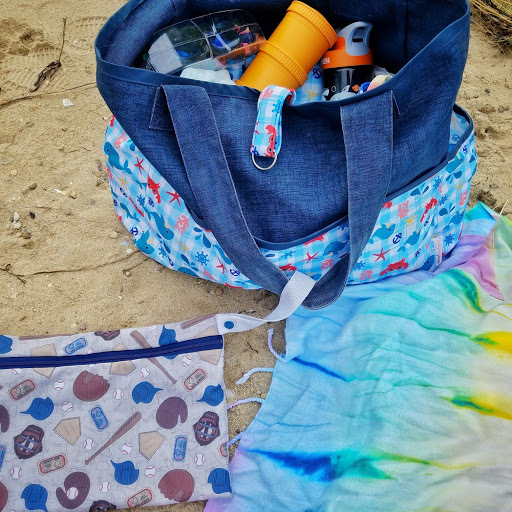 After more beach bags than I can count we have finally found the Smart Bottoms Beach Bag as our favorite. With its many pockets and TONS of space, I cannot rave enough about this beautiful bag! #2: Sunscreen! We carry 2 different sunscreens with us for our toddler, Babyganics & ThinkBaby. Both are equally amazing. Babyganics is a wonderful spray we use on bodies and ThinkBaby is a traditional cream that we use for faces. We also use Banana Boat Kids Sunscreen for Dawn. Its a light spray & easy to use. 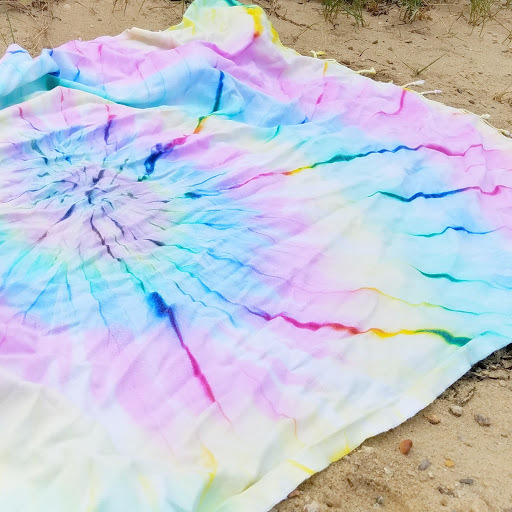 #3: Beach Towels! We love our SandCloud Beach towel the best. It doubles as a beach blanket and a wrap. It is super lightweight and quick drying as an added bonus. #4: Bug Spray! You never know when those pesky bugs are going to appear so we always keep babyganics bug spray in our bag. #5: Snacks! We never leave home without snacks. We alternate between Sage Spoonfuls Snack Bags and Replay Snack Stackers to keep our snacks easily accessible for little hands. #6: Beach Toys! Our absolute favorite are the KAWO Backpack of Beach Toys because it includes the best of all worlds with trucks, cars, shovels, pails and sand shapers. #7: Beach Shoes! We use Crocs in our family since some of our favorite beaches are secluded and a little rocky. #8: Wet Bags! I never go to the beach without a Smartbottoms wet bag to hold all those wet clothes on the ride home. #9: Drinks! We always pack camelbak water bottles for each of the kids. They are easy to use and the kids love the characters. #10: Bathing Suits! It would be terrible if we ended up at the beach without bathing suits. We especially love iplays bathing suits with built in diapers for before the kids are potty trained. I hope this list helps other parents with their basic for beach trips with little ones! What a helpful list!! I’ll check back next time we have a beach outing so I don’t forget anything. Super helpful! We have a beach not too far from us, I’ll have to keep this in mind for next summer! We live by the beach so always have to have a bag ready to go! Great list! This is a great list! I never think about bug spray. Even though the Sandgnats are terrible! I keep eyeing babyganics in the store but I have yet to actually purchase a bottle. Thanks for the reminder!